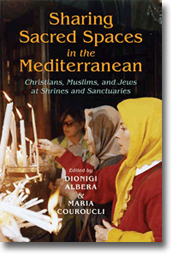 While devotional practices are usually viewed as mechanisms for reinforcing religious boundaries, in the multicultural, multiconfessional world of the Eastern Mediterranean, shared shrines sustain intercommunal and interreligious contact among groups. Heterodox, marginal, and largely ignored by central authorities, these practices persist despite aggressive, homogenizing nationalist movements. This volume challenges much of the received wisdom concerning the three major monotheistic religions and the "clash of civilizations." Contributors examine intertwined religious traditions along the shores of the Near East from North Africa to the Balkans.